A beautiful doll is a wonderful way to share good art. I am interested in making dolls as works-of-art by creating real and imagined portraits of children. When sculpting, I try to capture a particular expression, however, sometimes the actual clay piece I am working on takes on a mind of its own and directs me in the way I must work. 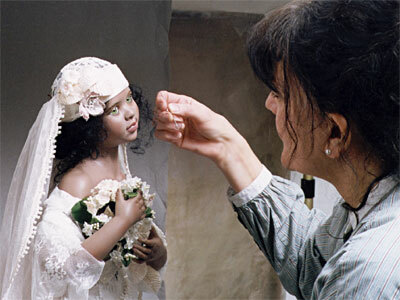 When painting the head, I put glass eyes in place and then work with the paint until the child inside the doll "Speaks" to me—thus creating a spirit to the work. I love doll making with its multifaceted demands where sculpture, painting, costume design, and colour come together in one art form to express the wonder of childhood.